From the time he was born, 16-year-old Mac Christman has been all too familiar with Children’s Hospital of Orange County (CHOC), in Orange, Calif. Christman was born at the hospital’s Mission campus, where doctors discovered he had a chronic form of spina bifida. Since that time, Mac Christman has undergone nine surgeries related to his condition, with the most significant being a spinal cord surgery when he was just three months old. Yet with each surgery and each office visit, Gina Christman says the doctors made her feel more and more confident that her son was in good hands. “They do a great job of making things comfortable, safe and familiar,” she says. 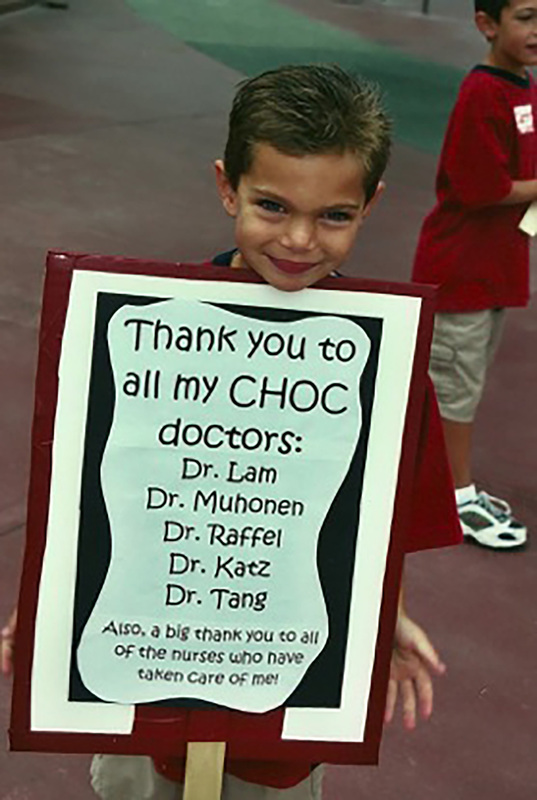 As a nonprofit hospital, CHOC relies on community support. For the past 25 years, the hospital has held its signature “Walk in the Park” fundraising event, in which participants walk through Disneyland in support of the hospital. Mac Christman’s involvement with the CHOC Walk in the Park began very early. 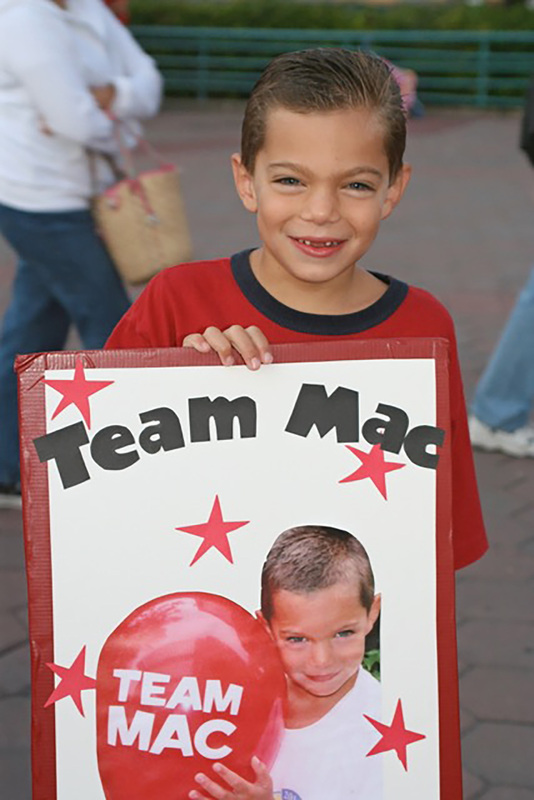 In 2001, the Christman family officially formed Team Mac, and as of this year, the team has raised nearly $200,000 for CHOC. Christman’s father, Scott, says the walk is about more than just raising money. “It’s a great way of teaching all of our kids the importance of giving back,” he says. Despite his shy disposition and hesitance to speak about his condition, Gina Christman says her son has always been enthusiastic about participating in the walk. “The walk has brought fun to something that isn’t always fun,” she says. In 2015, Christman received a special honor: serving as the CHOC Walk Ambassador, an opportunity that allowed him to participate in various CHOC fundraisers leading up to the walk. His favorite experience? Participating in a fashion show hosted by the Anaheim Lady Ducks, a group comprised of the wives of Anaheim Ducks players. During the show, he walked the runway with his favorite hockey players. Though living with a chronic condition means that he must balance frequent medical visits with his life as a 16-year-old, he enjoys the same activities as his peers. He drives, works hard at school and, despite the fact that his doctors were unsure that he would be able to run, he participates in cross-country and track. During track season, Mac Christman runs the one-mile and two-mile events for Tesoro High School. Mac and other patients aren’t the only ones grateful for these opportunities to lead a “normal” teenage life. The hospital’s impact is felt throughout the whole community. Worsham sees patients and their families daily who stop by his restaurant for a meal before or after doctor visits. In celebration of the 25th anniversary of the CHOC Walk in the Park, he and the owners of the other 18 Chick-fil-A restaurants in Orange County wanted to do something special. “We are all amazed by the great work CHOC does in our community, and wanted to make an incredible trip possible to celebrate someone giving back to the hospital in a big way,” says Worsham. They teamed up to provide a prize package for the year’s top fundraiser, including an all-expenses-paid trip to Atlanta, VIP experiences at the World of Coca-Cola and the College Football Hall of Fame, as well as a backstage tour of Chick-fil-A Headquarters. For the 2015 Walk, Team Mac raised $24,044 for CHOC, making Mac Christman the prize winner. Mac Christman says he was able to raise the money with the help of his family and friends, as well as holding smaller fundraising events throughout the year. Mac Christman and his father took the cross country journey to Atlanta in June where, in addition to the activities that were included in the prize, the two cheered on the Atlanta Braves. They were ushered around Atlanta by a family friend and enjoyed meals at some of the city’s famous restaurants, including Fox Brothers Barbeque and Antico Pizza. 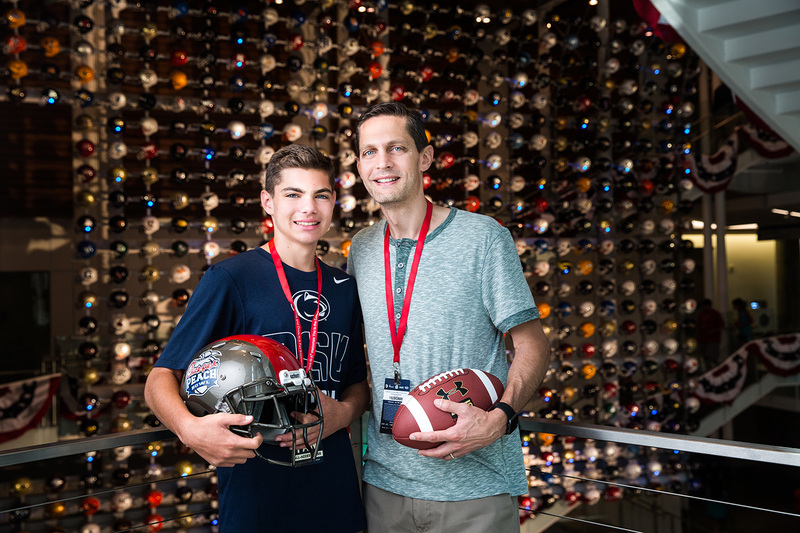 An avid sports fan, Christman was most looking forward to visiting the College Football Hall of Fame. A Penn State fan, he came to the Hall dressed accordingly, and was able to learn more about the Nittany Lions through exhibits about campus traditions and famous players. 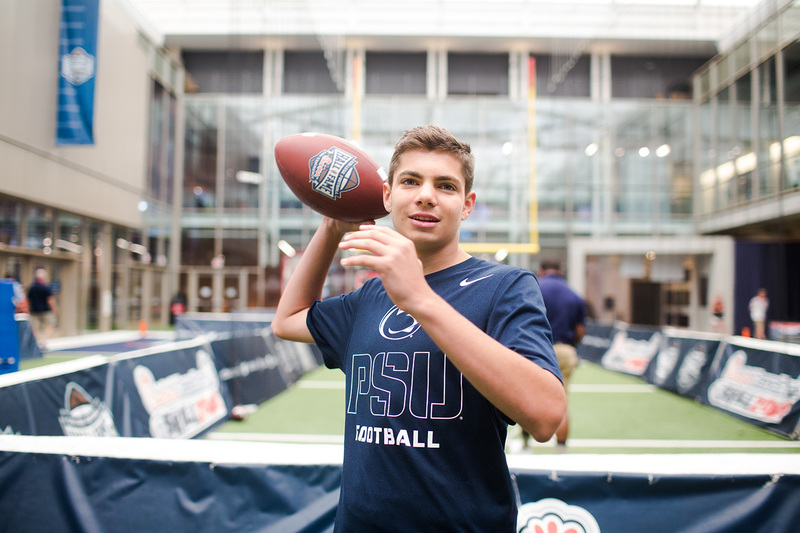 He played catch at the Chick-fil-A Peach Bowl Skill Zone and lit up the Penn State helmet on the Hall’s wall of more than 700 college helmets. “I love football and I was excited to see some of the history behind the game,” Mac Christman says. Beyond the fun of the trip and participating in the annual Walk, however, the Christman family views their relationship with CHOC’s doctors and nurses as the true gift in their lives. “We give CHOC a ton of credit for Mac. They have given him a really normal life,” Gina Christman says.